Make introductory psychology modern and accessible! Strike a balance between classic and contemporary topics and theory. The new edition of this text engages students with local ideas and examples, within the context of psychology as an international discipline. 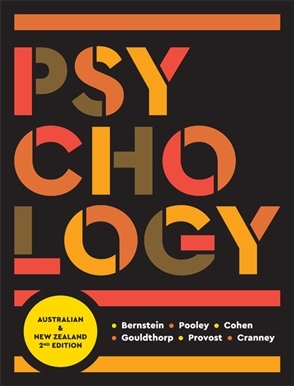 Rich cultural and indigenous coverage is integrated throughout the text, as well as new chapters, 'Indigenous psychology', and 'Culture and psychology'. There is also the continued, and unique focus throughout the text on graduate attributes for accreditation, careers in psychology and the professional discipline of psychology. Linkages features in the text knit together student understanding of psychology's sub-disciplines, and the research sections show the how and why of research. World class learning technology available with Bernstein includes CourseMate Express, and a new MindTap.